Toddlers love to run around, to explore and to be creative. But having a broken leg can stop them from doing what they do naturally. Toddlers aren't made to sit in a chair all day. They get bored, restless and frustrated. DVDs can help keep them happy for a while but a broken leg takes weeks to heal. Too long for DVDs to be your only way to keep your toddler happy. Art activities like crayons are fun and can make sure they still learn normally while their bone heals. But what else can you give them to play with? Here are some fun ideas that will work with a toddler who has a leg in plaster. Toddlers need a way to be active even when they have a broken leg. They can't run around, climb or do most types of active play. But there are still some types of quieter active play they can do. Bead mazes need big arm movements from your toddler to move the beads around. This is a type of active play that works just fine when they have a broken leg. Just make sure you have the maze in a place they can reach easily so they don't get frustrated. 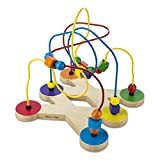 Beyond being a good toy for toddler who needs to heal - bead mazes also fascinate young children. They're a good learning toy too. 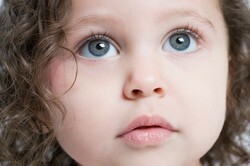 They help toddlers' hand-eye coordination as well as cause and effect thinking too. If you have a toddler in leg plaster a pounding bench is perfect. It only needs arm movement but they can really whack it and get some energy out. So it's a good way to replace running about and other types of really energetic play. Gentle ball play outside or in a safe area indoors where nothing can get broken is important too. Even though a toddler is in plaster with a broken leg they can still catch a ball. Just make sure it's thrown softly and carefully to them while they're healing. This can be a fun way to keep up an activity your toddler probably already loves. It will help keep their development on a normal path. It also helps your toddler feel that they haven't lost everything they enjoy while their leg heals. Being creative is a good way to make sure your toddler is still learning while their leg heals. Watching DVDs can keep them happy for a while. But only watching DVDs isn't good for toddlers. They won't learn like they are meant to. This is because toddlers learn by "doing". Creative activities are educational, keep them busy and are more active than watching a DVD. This means they help your toddler feel less restricted. They're also another good way to get feelings of anger or frustration out that might be building up while they wait for their leg to heal. Crayons and plain white paper for drawing are a classic choice for this type of activity. But there're other fun choices too. 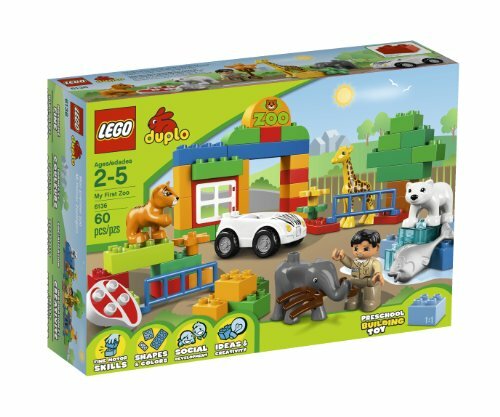 Duplo is great for toddlers. A set like this mixes pretend play with building and creativity so it's really good for toddlers. They can escape being stuck in plaster for a while through their imagination. They can learn important math ideas and problem solving skills by playing with the blocks. 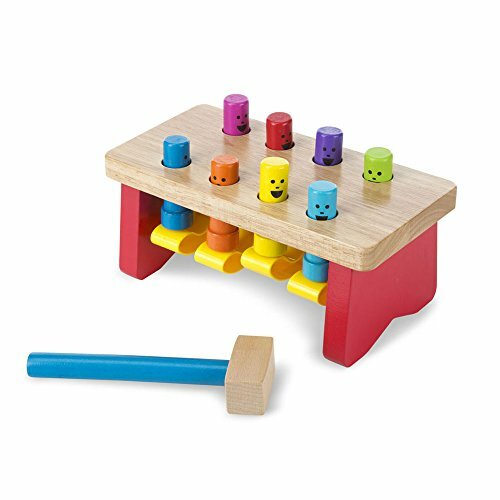 Putting the blocks together is also good for their hand-eye coordination. Building sets like this also work well on a table so they're easy to play with when a child is in plaster. This is good because many pretend play and building sets have to be played with on the floor which can be hard when your toddler has plaster on their leg. Toddlers love Play Doh. It's also an active type of creative play. This is because your toddler can squeeze it, hit it, roll it, mash it and lots of other things. This means it's a good way for them to be creative and get rid of some energy. 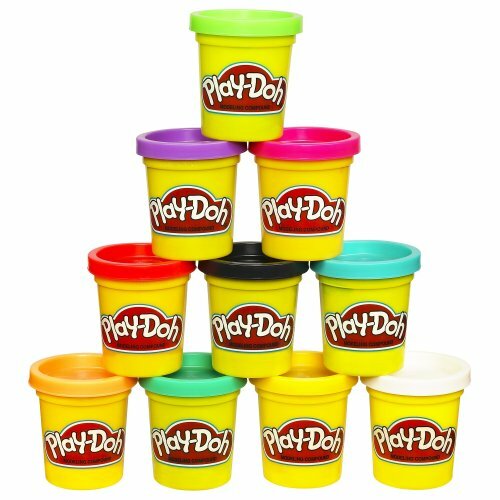 You can get lots of Play Doh sets at Amazon. Just make sure the set you buy is easy for them to play with. This is because you don't want any extra types of frustration for your toddler at the moment. They are probably frustrated enough being in plaster. A Toddler with a Broken Leg Can Still Paint! Painting is another fun activity that is creative, educational and a type of quieter active play for toddlers. It's thought to be so important that children's hospitals usually have special easels that let children paint even if they can't sit up in bed. 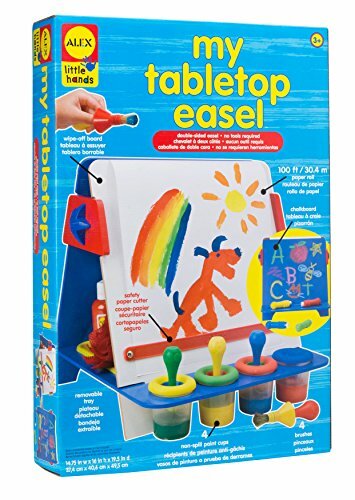 Luckily you can buy table top easels which let your toddler paint while they have a broken leg. But make sure you also get some spill proof paint cups and an art smock. You don't want their plaster ending up multicolored. 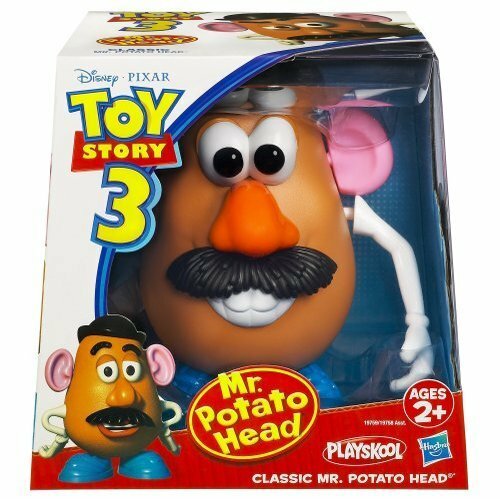 Mr Potato Head is a toy little kids love. It's a toy that's easy for them to play with when they have a broken leg too. It's not exactly an educational toy. 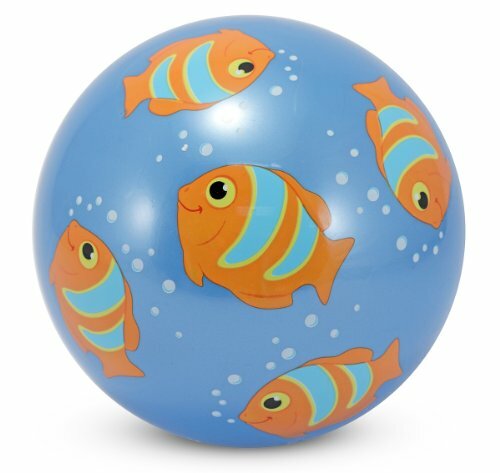 But it is good for hand-eye coordination, is fun and a good way to keep your toddler happy and busy. You can get a lot of different Mr and Mrs Potato Head toys at Amazon. So you can pick one that you think your toddler will like. 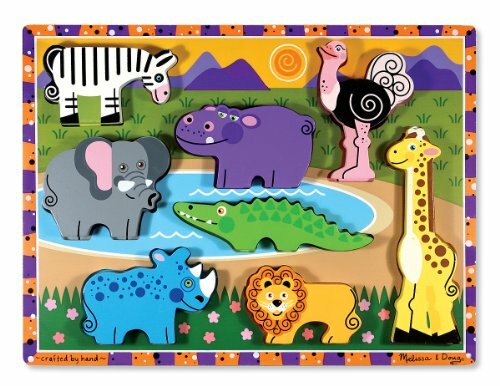 Puzzles are wonderful - as long as you buy one that is meant for toddlers. Puzzles are fun and keep toddlers interested. They help kids learn lots of thinking skills too. So they're a really good learning toy. It can be tricky finding the right puzzle for a toddler but you can get special tips for buying a good puzzle for your toddler. These tips make it easy for you to get the best puzzle for your toddler. . But there's one very important tip for choosing a puzzle for a toddler with a broken leg. Stay away from floor puzzles until they heal. Floor puzzles are too hard for children who have a broken leg because you have to move around a lot to put these puzzles together. The puzzles I've shown here - chunky, peg and touch & feel are all good choices for toddlers who have a broken leg. Do you know how to choose the right jigsaw puzzle for a toddler? How to find books for your child and use them to help explain a trip to hospital. Find out why sick kids need to play and which toys are best. Find out what children think about pain and what they hate most about it. Find out how 'playing doctor' can help kids sick or healing. Get tips on how to encourage this sort of play too. Thanks Katie. Yes it's certainly a long 6 weeks for the kids and their parents waiting for the break to heal.